Me and my 4 year old created this little wonder today. I have not thrown away any of the jars of formula from the baby. There are so many things that you could do with these cans. For the lid I cut out a circle a little bit smaller than the lid. 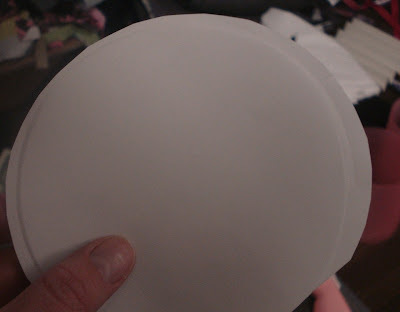 Then I used my finger to "emboss" the outline of the lid. It was really simple, and then I had an outline for the lid. 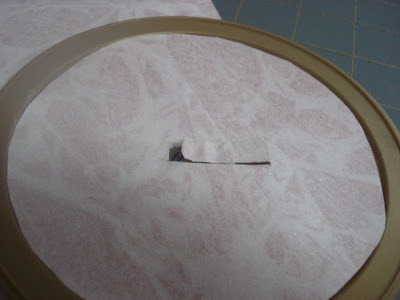 Then I cut it out and hot glued it onto the lid (notice it is not perfect, but you will cover that up later. Then I cut out a small rectangular hole out of the lid with my exacto knife. 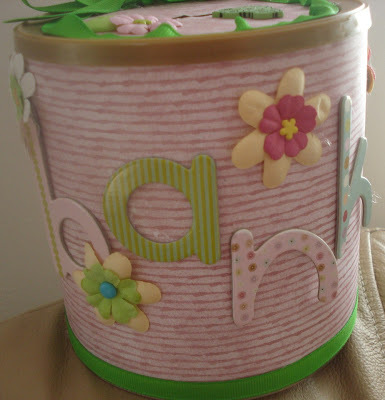 Then we embellished the can with some flowers and some letters and some ribbon. 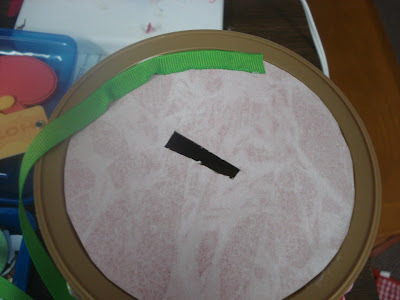 To finish off the lid, I hot glued ribbon around the outer edge of the lid. Tied a bow out of the same ribbon and glued it onto the lid. 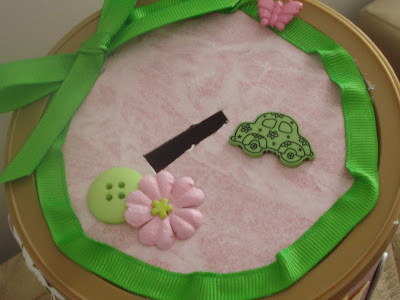 Embellished the lid with a couple of flowers and buttons. And Voila! You have a fun little can for endless possibilities. this is so cute! I'm always looking for great ideas to use on formula cans. I think I still have 50 or so! HOW UBER CLEVER IS THIS? VERY CLEVER! love the colors you chose and how you decorated it. JGG~ Larsenloves.blogspot.com, and I follow you too! ;) have a good one. visiting from made by you mondays...I too can't throw away formula cans. This is soooo cute! What a cute idea! It turned out adorable! love love love love, I finally started reusing some of my formula cans to store glitter pens, glue sticks, sharpie markers, and other misc. crafting supplies. I love how you decorated this! Very cute. Love it, and love the fact that little ones can't break it! Thanks for sharing! So cute! I have a ton of coffee cans that I could use (sadly, no formula ones). Thanks for the inspiration! great idea i have so many of those cans laying around! What a cute idea! I love the little flowers you added. Great job. What a great idea! I know I've got a lot of those cans just sitting around waiting for a project like this! I always wonder what I can do with those...now I have an idea! Thanks! 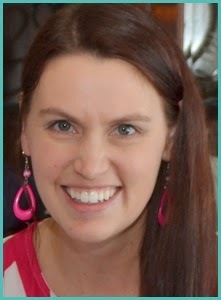 Come stop by my Favorite Things Friday Party if you would like to join in! This is a great idea! I have so many containers of formula but normally when we are done with them we just throw them into the recycling. I will try to link up on Sat., we are leaving town so I'm not quite sure if I will get to the computer or not. A bank! That is a great idea! 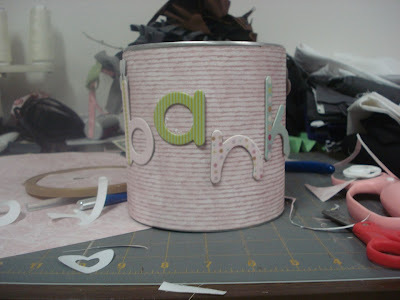 Too bad I don't have any formula cans because my son needs a bank!!! Love this idea! Michelle you could use any can with a lid..I am using a breadcrumb can. 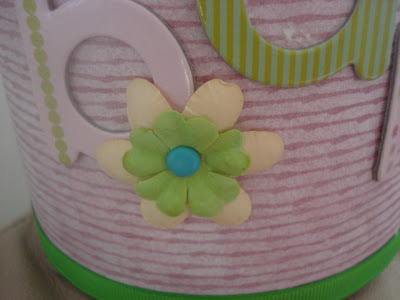 I am using tissue paper strips and gluing them on there in a random pattern. There are so many things you can do with these..I am going to use mine to store my daughters pencils. Very easy and creative project, lovely . sure I try it soon... I just found your blog and its really very interesting and creative too... I m your newest follower now..
Super Cute! I love this. I used mine for centerpieces for my daughter's first birthday, but this is a neat decorating idea or gift can idea! Thanks!